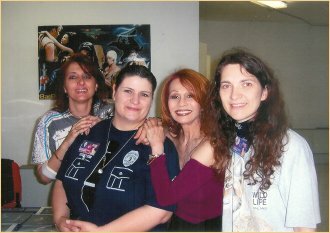 I have been fortunate over the years to meet some wonderful people at various events and conventions. 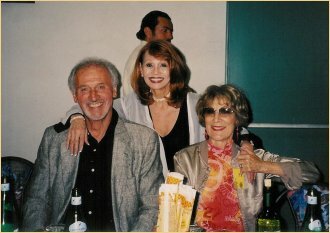 We thought It would be fun to share some of my personal favorite photos with you. I hope you enjoy them. 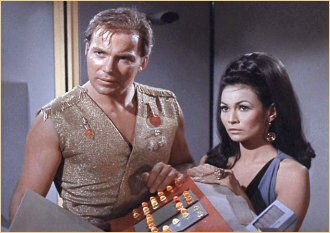 Captain Kirk and Marlena Moreau. After watching Shatner on Boston Legal, I have fallen in love with my Captain all over again! Sticcon 2005. Italy. Sticcon 2005 convention. 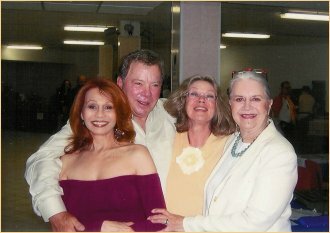 With William Shatner, Antoinette Bower and Joanne Linville. Sticcon 2005. 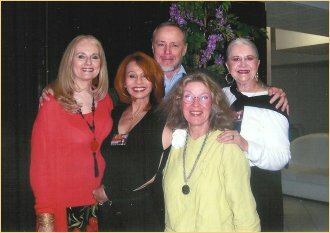 Stewart Moss with Trek Babes Celeste Yarnall, me, Antoinette Bower and Joanne Linville. With Sticcon 2005 volunteers, Daniella, Rafaella and Elena, Luna's interpreter. Sticcon 2005 convention. With Lawrence Monoson and Stewart Moss. Sticcon 2005 convention. With Italian friend, Giusy. Sticcon 2005 convention. Costume contest. 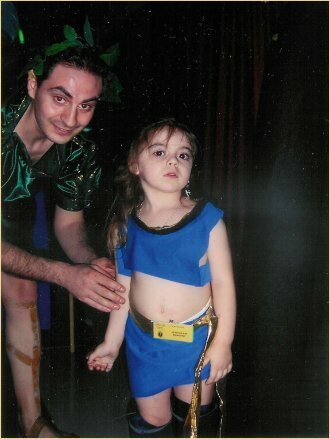 Little girl dressed as Marlena Moreau won second place. Sticcon 2005 convention. 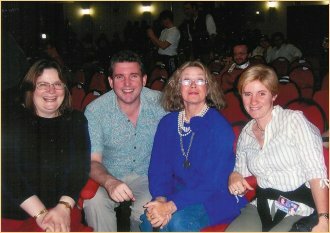 London promoter Ann Lindup, Trek expert Richard Arnold, Antoinette Bower and Laura, convention volunteer. 2003, London Expo. 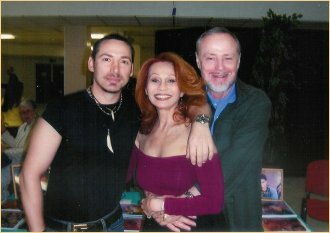 With France Nuyen and Captain Tim Miller. 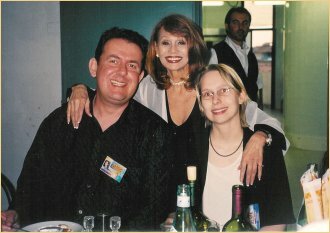 With Sticcon 2003 promoters Jessica and Massimo and France Nuyen. Sticcon 2003 convention. 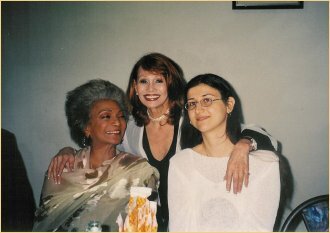 With Nichelle Nichols and promoter Jessica. Sticcon 2003 convention. 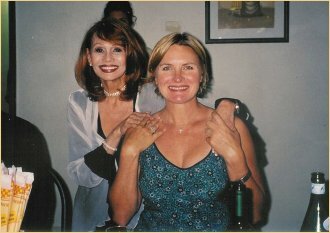 With Denise Crosby. 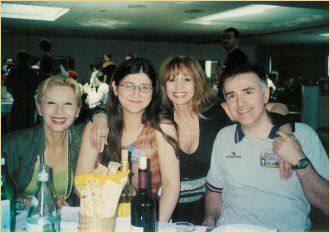 Sticcon 2003. With Mr. and Mrs. Mark Allan Shepard. Mark played "Morn" on "Star Trek: Deep Space Nine". Sticcon 2003 convention. Best friends and convention cohort, Michael Forest with wife Diana. Are we having fun yet? Sticcon 2003 convention. With Richard Herd, France Nuyen and Andrew Prine.